After two straight losses from Malaysian fighters towards the end of the night, the home supporters of the local MMA representatives must have been a bit worried going into the main event featuring Malaysia-born New Zealander Ev Ting (12-3) against Rob Lisita (14-9) from Australia. Ting was on a two-fight winning streak whereas Lisita hasn’t been winning since his loss to Eric Kelly, who Ting has beaten in his previous fight. Strange featherweight match-up by recent record but the fight itself says otherwise as the bout went all three rounds. Lisita is naturally an aggressor but it would seem that he’s learnt and improved from his past three losses. He tried to pace himself, was more cautious and had more takedowns and ground game than ever before. All that was perhaps enough to lead in points for the first round but superior cardio, striking accuracy and ability to defend and reverse from the bottom earned Ting the unanimous decision. Ting knocked Lisita down to his hand with a punch in the second round and badly bloodying his face in the process but Lisita simply refused to be finished, even when his arms were just completely down in the final round. 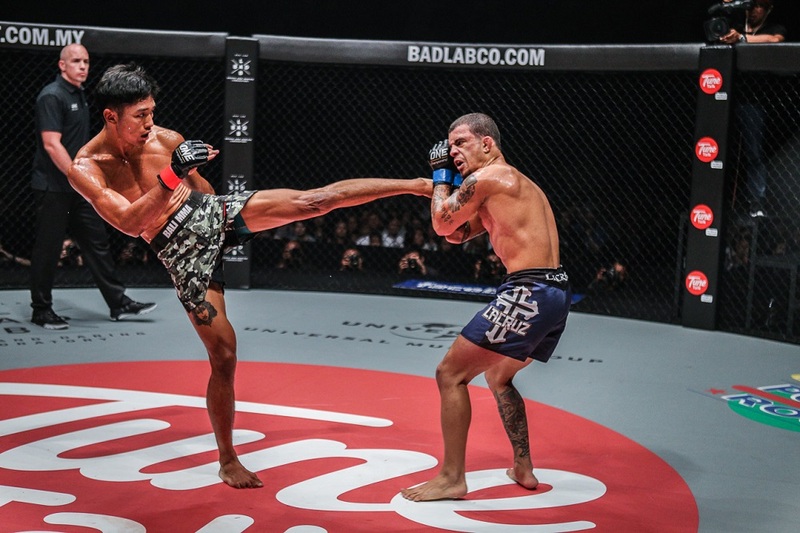 It was a great fight and with this win, Ting might get his rematch against the unbeaten Russian Marat Gafurov for the featherweight title unless ONE feels that Ting would first need to face former champ Narantungalag Jadambaa or Martin Nguyen who’s on a three-first-round-finish streak. All three of them certainly deserves the title shot. 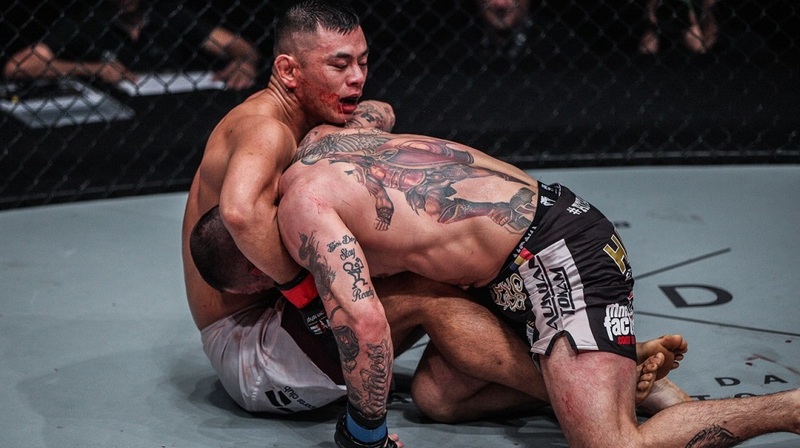 Malaysian MMA stars Peter Davis (10-5) and Ann Osman (4-3) were both finished by Shannon Wiratchai (6-1) and April Asenio (2-1) respectively but Gianni Subba (8-2), Keanu Subba (4-2) and Agilan Thani (6-0) were able to please the local supporters with victories over their respective opponents. Muhammad Aiman (1-1) emerged as the winner against fellow debutant and countryman Hisyam Shamsudin (1-2).